Do you have very young children in your family? The Jewish Community Preschool is run jointly with Beth Israel Synagogue. The Jewish Community Religious School comprises students and faculty from both Temple Emanuel and Beth Israel Synagogue. 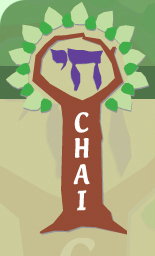 Instruction in the lower grades is based on the CHAI Curriculum. Learn More. Want to learn Hebrew? We offer classes for young people and for adults. Bar and Bat Mitzvah students work closely with the Rabbi. Learn More. Looking for the latest news about Israel and Jews around the world? Check out our Resources page. Our exciting Adult Education programs include the Friday Night Speakers series, Tuesdays at the Temple, weekly Torah study, and a monthly Current Events Discussion Group. Learn More. We have two excellent libraries, one for adults and one for children. Learn More.